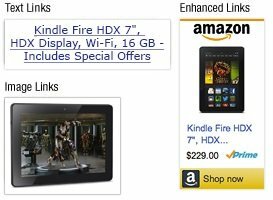 It's easy to advertise Amazon products by building links and banners. When you add these links and banners to your web page and visitors click on them from your page, you can earn up to 10% on all purchases made during their shopping session. How Do I Build Affiliate Links to Amazon? Amazon helps you build links to Amazon.com and amazonsupply.com with a range of tools. Link to a specific product on Amazon and show some information about that product. The Product Links tool lets you build customized Text Links, Text and Image links, and Image only links to Amazon products. Your links will include your Associate tag and you will be paid for qualifying revenues coming through this link. Use Product Previews to enhance your Product Links. 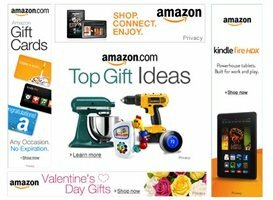 Link to Amazon product categories and promotions using our stylish graphical banners. Many standard banner sizes and shapes available. Show special graphics for special Amazon promotions such as Back to School or Mothers Day. Earn referrals of up to 10% of sales. Site Stripe lets you build your Associates links right from any Amazon.com page. Quick and easy link building while browsing Amazon. Short-cuts to Associates news and reports. Completely compatible with Product Links.